Carluddon Technology Park offers a real opportunity to provide a catalyst for the development of future high quality employment space within the St Austell area. It will offer high quality business support, in high quality premises, in a highly visible location accessible from the A30. It will enable physical and economic regeneration of the area, benefitting new and existing businesses in the low carbon environmental goods and services and advanced manufacturing sectors. Supporting innovation and entrepreneurial business, Carluddon Technology Park will create 75 high value jobs and set a benchmark for design quality. It will also benefit from proximity to the Eco-communities Initiative, the Eden Project and other same sector initiatives such as the Wave Hub and the Marine Renewables Park. Appoint (via an OJEU compliant tender) an operator to manage Carluddon Technology Park. ERDF investment in this project will provide new and existing businesses in the low carbon and renewable energy sector the opportunity to locate their operations at Carluddon Technology Park. The applicant for the ERDF investment will be Cornwall Council, acting within the scope of its ‘well-being’ powers as an agent of change in the interest of the economic and physical regeneration of the area. It will deliver and hold the assets created by the project. 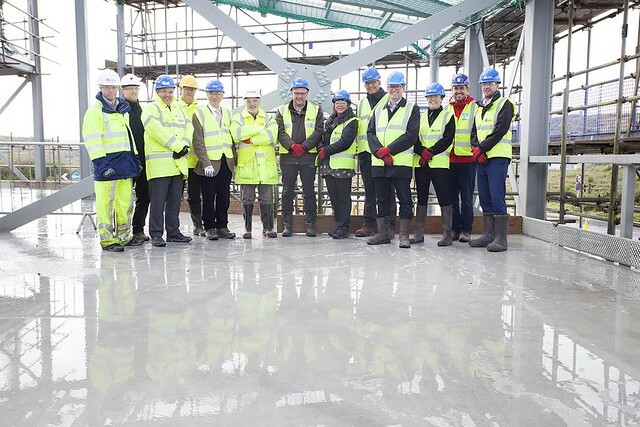 Indirect beneficiaries of the ERDF investment will be local businesses and communities who will benefit from employment, knowledge transfer and supply chain opportunities in St Austell and the Clay Country as a result of this ERDF investment. The project has full planning permission and it is wholly located on a site approximately 2.5km to the north of St. Austell, between the villages of Scredda, Carluddon and Penwithick at the junction between the A391 and B3374. The aim of the project is to establish the area as one of the premier locations in the UK for ambitious, high value businesses, working within the Low Carbon Environmental Good and Services Sector (LCGES) and to be recognised nationally and internationally as providing a model for the low carbon economy and for low carbon living. The project will remediate the Carluddon Technology Park site and deliver 2,289 m2 gross internal area of BREEAM Excellent employment space creating a nationally significant, self-sustaining facility targeted at the low carbon and renewable energy sector. For more information visit the ESAM website and Cornwall Council’s project page.